San Diego Jewish Community Day! 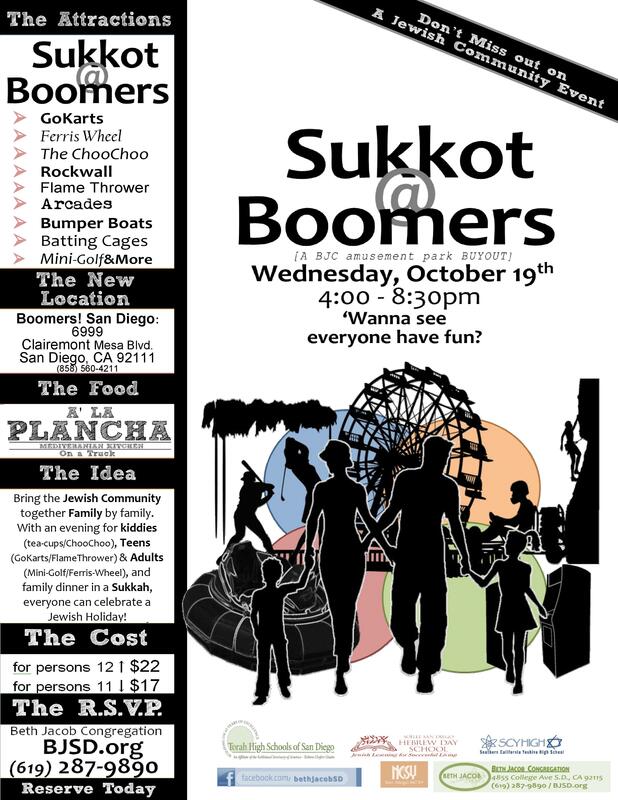 Chol Hamoed Sukkot fun for the whole family at Boomers Family Entertainment Park, back in Kearny Mesa. Shake a Lulav and Esrog too. New this year: Food available for purchase from "A la Plancha Food Truck"
Free arcades; Bumper Boats; Mini Golf; Kids County Fair rides; Go Karts, Rock Wall and more!